Indiehitmaker has always provided many services to help independent artists build momentum. 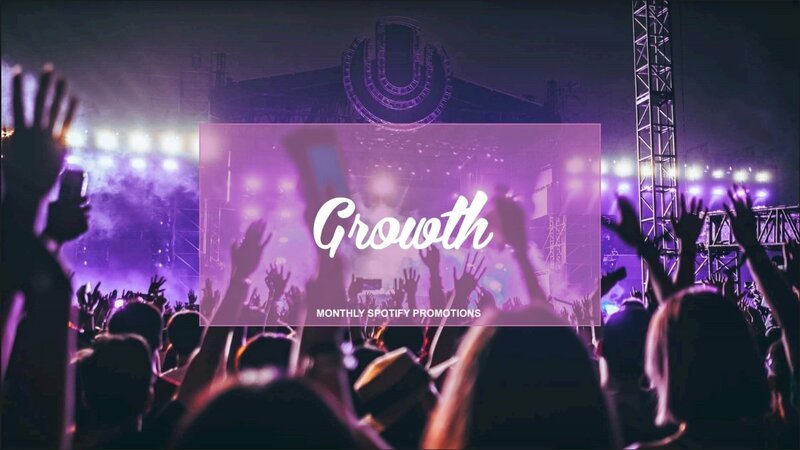 With the growing importance of streaming, we’re introducing our latest offering, Spotify Growth, designed to grow your streaming presence and build your fan base. This morning, like every morning, 75 million Spotify users received a brand new playlist of 30 songs, not unlike a mixtape made for them by a friend, but these playlists were created for each individual using a very complex algorithm. This approach to recommended music is what makes Spotify unique over other services that do the same. Spotify’s recommended playlists feel fresh and familiar at the same time, capturing users’ interests and keeping them coming back for more. IHM uses this to your advantage, leveraging algorithmic odds to deliver your music to the ears of welcoming listeners. 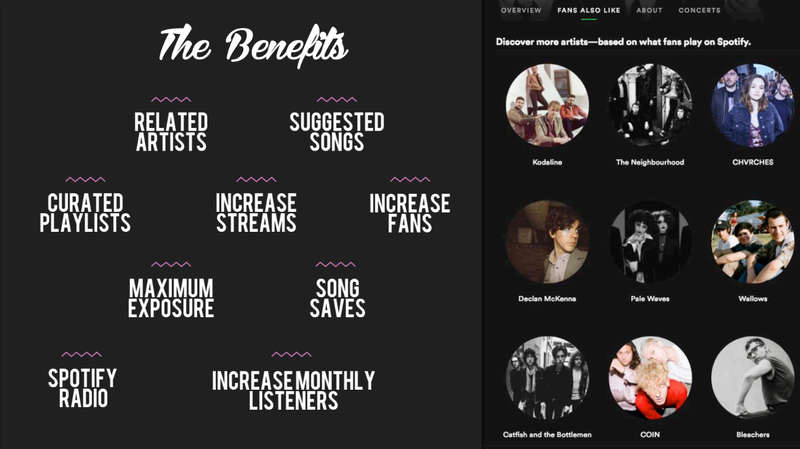 Think of it almost like SEO(Search Engine Optimization) for Spotify. We use two main techniques for our reliable Spotify Growth programs: playlist seeding and targeted fans. We can get your music onto many playlists, and not just any playlists, influential playlists that display continual growth of followers and interactions. Fans are important to us, so we make sure the people that are listening to your music want to be there, with proper fan targetting, we find you fans who want to keep coming back for more. Better yet, Spotify Growth not only gets you more streams, we bolster your numbers where it counts in followers, monthly listeners, and song saves. In a recent case study, independent artist “X” saw explosive growth in just three months. In that time, they’ve gone from 164 monthly listeners, to 310,000, and from 414 followers, to 10,200, and more. Spotify Growth also works for labels and management groups. In a second case study, co-branded label playlist “Z” went from zero to a little less than 9,500 followers in the first month, while their unpromoted label playlist remains at less than a thousand. That’s a growth improvement of anywhere from 150x to 2,000x across the various statistics that price your momentum to the industry. Whether you want to get signed, land a manager, get more gigs or move your career along, leverage your Spotify numbers to #makeitcount, email us at artists@indiehitmaker.com and we’ll send you more information.